Before the carat system was introduced early diamond traders used carob seeds, small seeds that had a fairly uniform weight as counterweights in their balance scales. Magic sizes – what are they, and how do they influence the price of a diamond? Whilst you may have your heart set on a beautiful 1.00ct diamond solitaire engagement ring, you may find the cost of such a stone to be prohibitively expensive. This is partly down to 1.00ct being a ‘magic size’, rare, coveted by many and priced accordingly by the market. 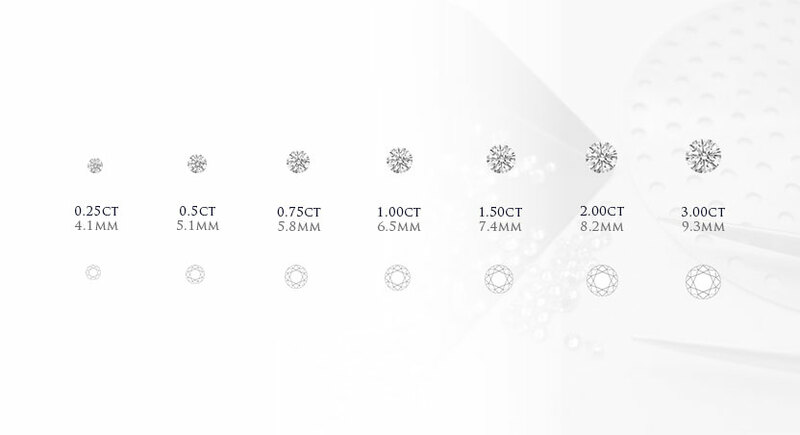 Consequently, the price difference between a 1.00ct stone and one of 0.98ct can be significant– however, the difference is near invisible to the human eye. So by playing the magic sizes game, you could, in fact, bring your perfect ring into your price range. An important fact to note is that some would expect a 1.00ct diamond to cost twice as much than a 0.50ct diamond. However this is not the case and price depends on a number of variables.